I had said no. No, I would not do that. Now I find myself here; shackled, jailed and all but forgotten. Forgotten until they need to shove an example out on public display. An example of what being unpatriotic can do for and to you. Yes, I know it’s war. But, then when are we not at war? War has become the largest employer in the world. The human race has been at war since one early human decided it wanted what the other early human had. War, it’s all about taking from one entity for the benefit of another, damn the consequences. Unlike most wars, this war was not begun in the name of a deity. This war was begun, in the name of land. It’s all about who has the land and who wants the land. The Infinite Powers, at least that’s the moniker they hung on themselves and their corporation, had determined the Islanders, now called the Greedy Green States, should not have direct access to the sea. The land bordering the seas can be used to enter the seas and take, without approval, extra life giving nutrients now grown in the largest Petri dish in the world. The Pacific Ocean. The Infinite Powers already patrol the shoreline in boats armed with sub-machine guns. No one is allowed to set foot into the waters, without express permission. Permission is never granted. But, the people owning and living on the land could possibly obtain extra rations. For this reason alone, the Infinite Powers want them evicted, extracted, and/or eliminated. You've, no doubt, see the ads on television. “Earn credits for compliance.” What they are actually saying is “turn in your friend, neighbor or relative as unpatriotic and we will give you an extra credit for food.” Millions comply. I said no. I said no publicly. A little too publicly. 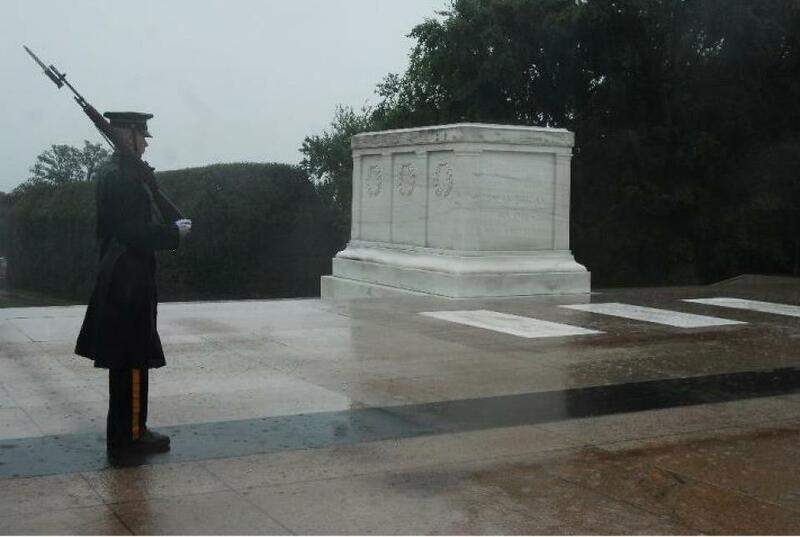 Perhaps I shouldn't have stood at the Tomb of the Unknown Soldier to make my speech. What better place to demonstrate we should work together? What better place to demonstrate the equality of the individual? What better place to demonstrate how many had perished that we might retain our individualism. Perhaps I shouldn't have had a microphone. I said I would not be complying. I would not betray my friends, neighbors, relatives or family. I would not give over to the Infinite Powers those who sympathized with the land owners. I would not, if I knew any, give over anyone who provided food to the demonstrators on behalf of the land owners. I would not be assisting or abetting the Infinite Powers. Now, I’m a poster child. Kept rail thin, kept bruised and battered, kept dirty and disheveled, I am brought out of my shackles and proclaimed to be unpatriotic, all because I would not lay down someone else’s life for the good of the corporation. It matters not which part of the world you live in. Corporation, who is now considered a person, rules. The good of the people both physically and emotionally matters very little. Reproduce and give the Corporation more consumers. Infinite Powers keeps the human individual out of the “fiscally responsible” story. Interesting. To quote one of the comedians, "If corporations are people, Romney should be jailed for murder." Very interesting take on Patriotism. Well, this is unique, inspiring and very thought provoking. Excellence is really not a big enough word for this one, my friend. This one is the beginning of an amazing novel. THIS is your first completed and published novel. I know it. Interesting, what happens next? Good job!